Join Spirit League athletes at the Mission Viejo 5k Fun Run to show League spirit and raise awareness and funds for Spirit League at the same time. 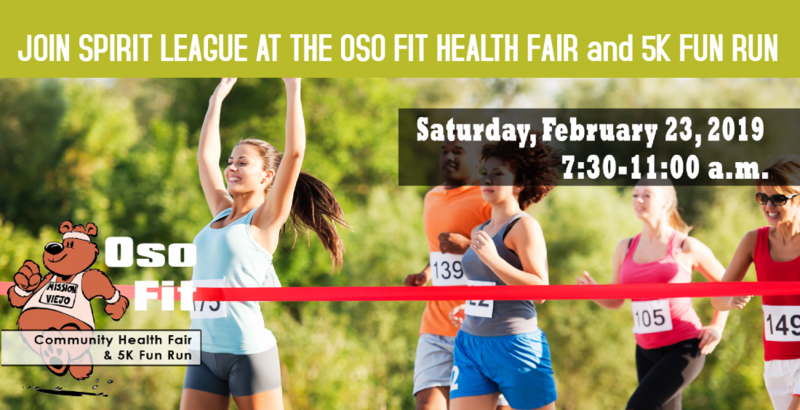 Register at osofit5k.org and select Spirit League from the non-profit drop down box. Proceeds will benefit the Spirit League Program. Athletes should wear their sport jerseys and we will all walk together.